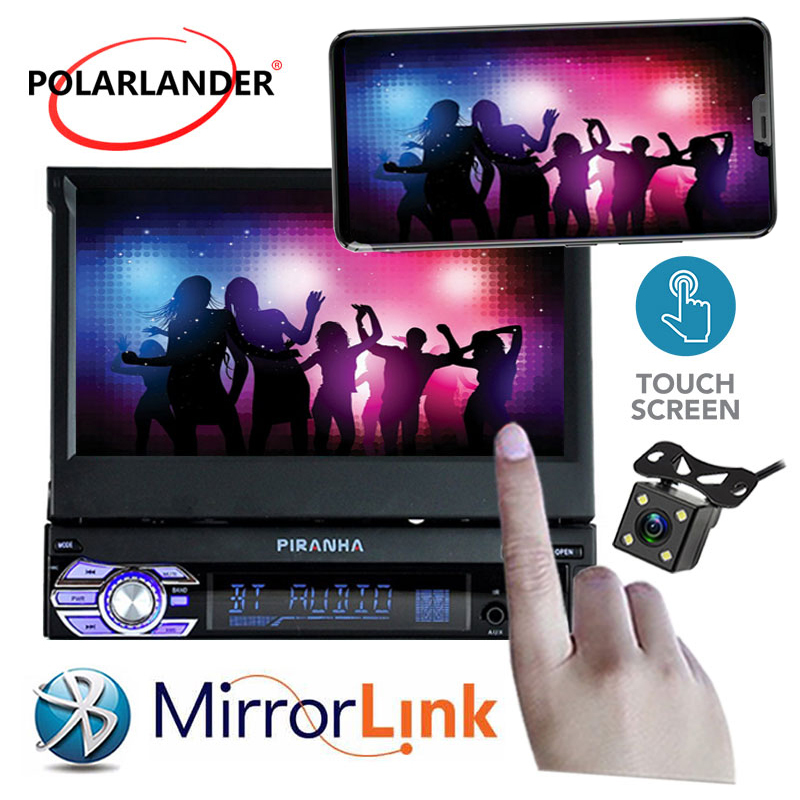 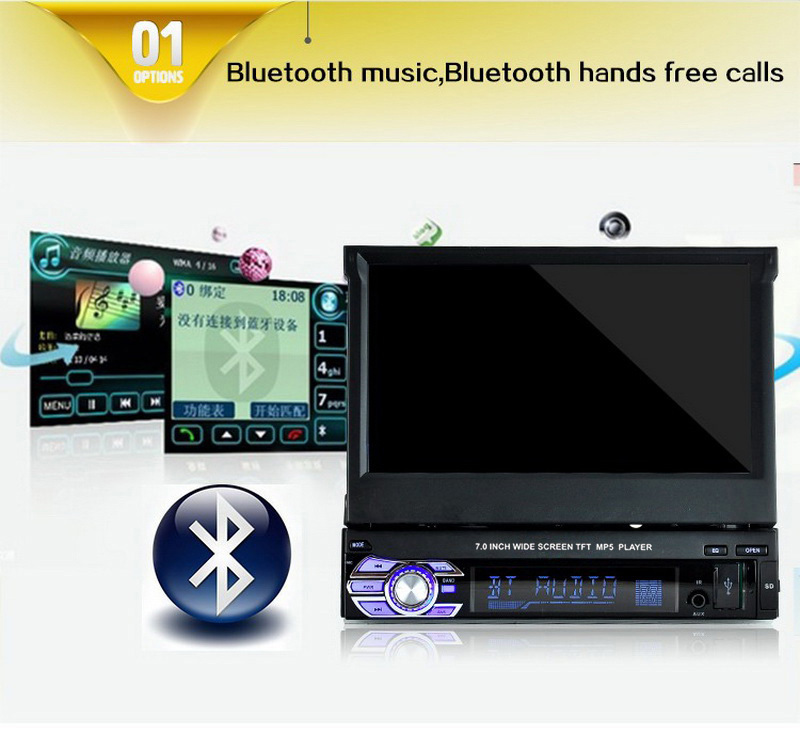 This Bluetooth stereo includes a manual 7-inch retractable screen. 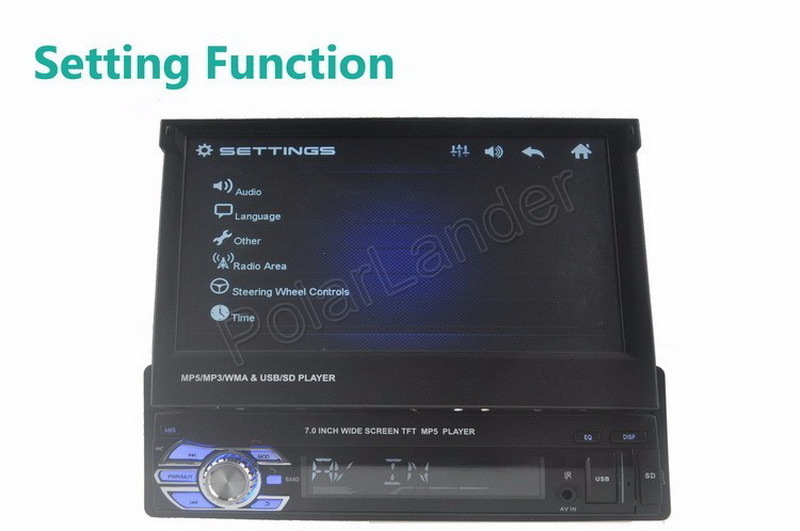 Includes a remote control for more convenient navigation and operation. 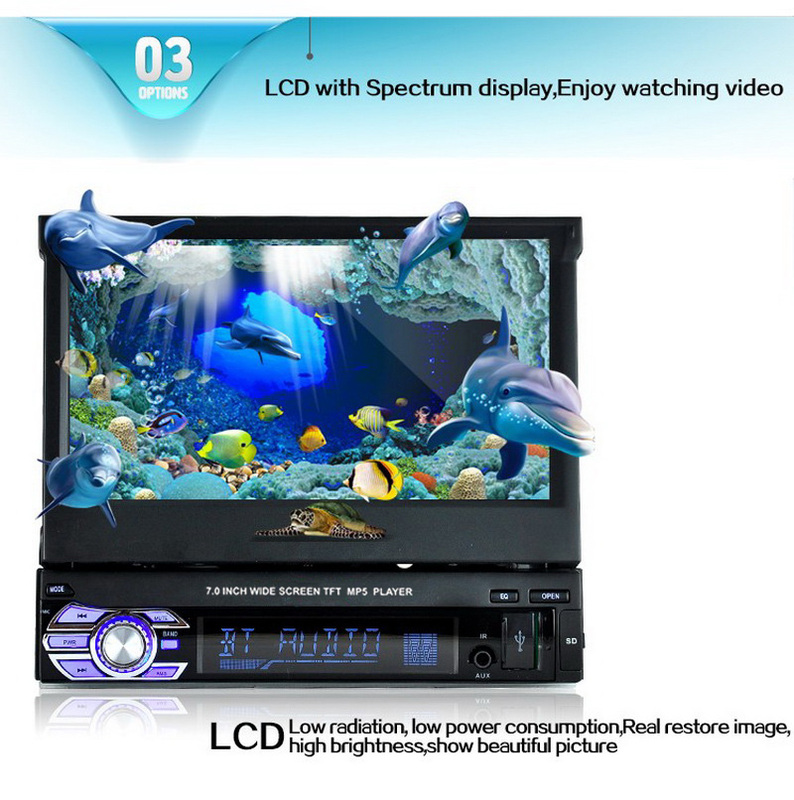 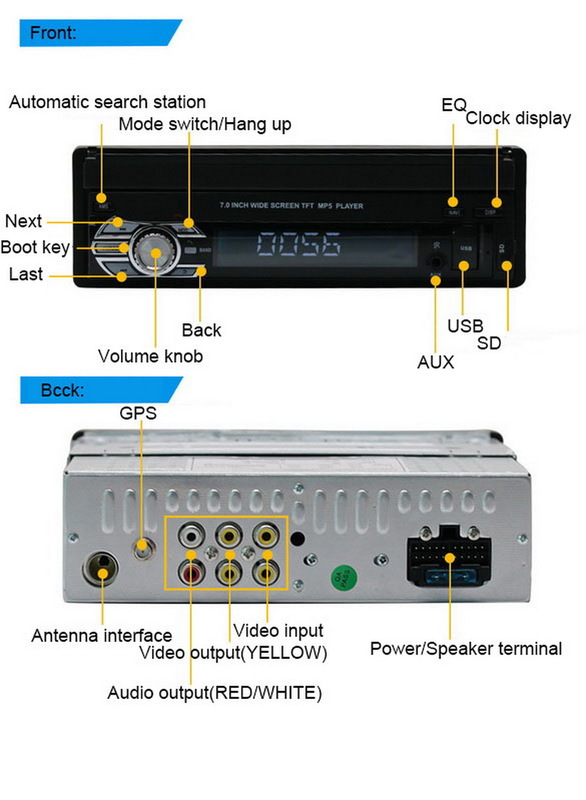 Includes a power-off feature with auto-memory store function under radio or TF/USB mode. 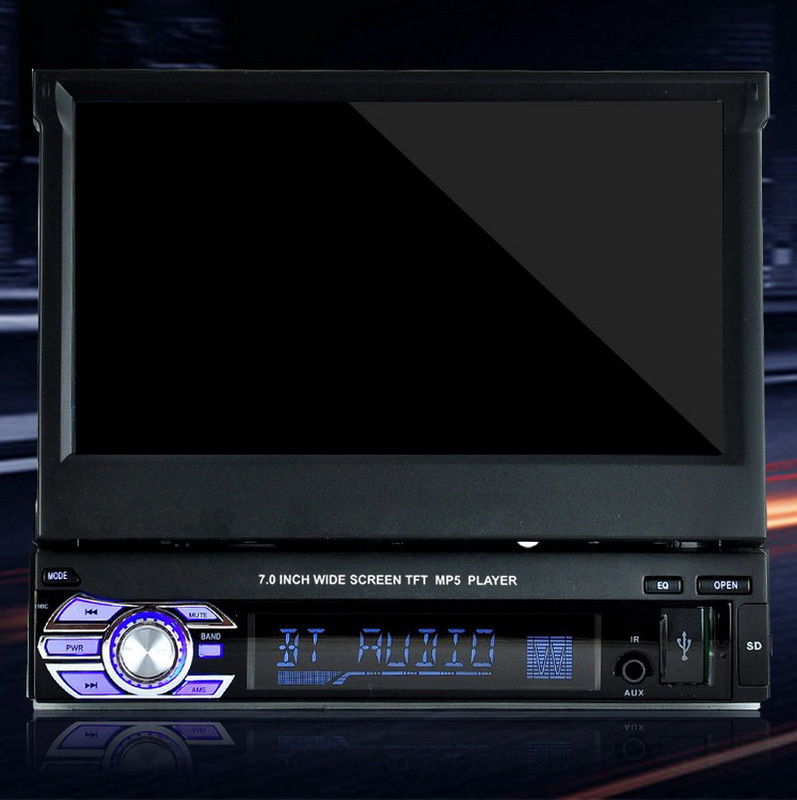 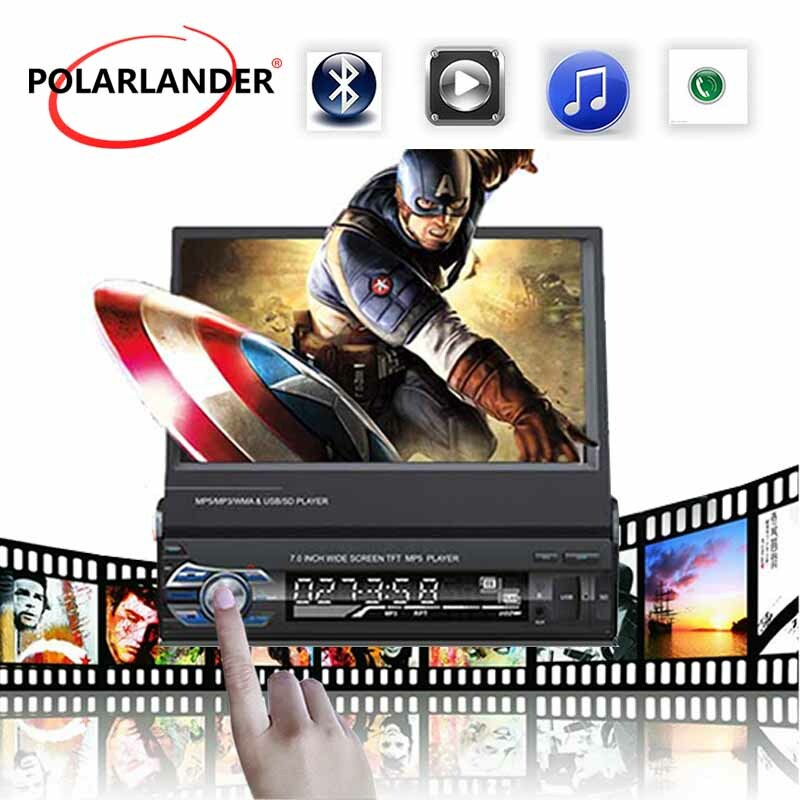 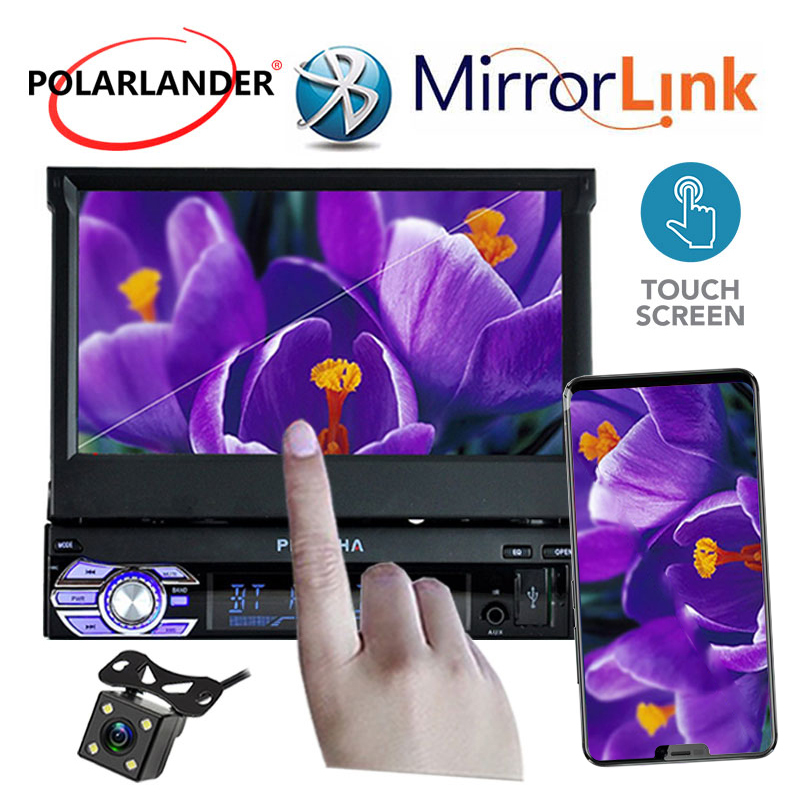 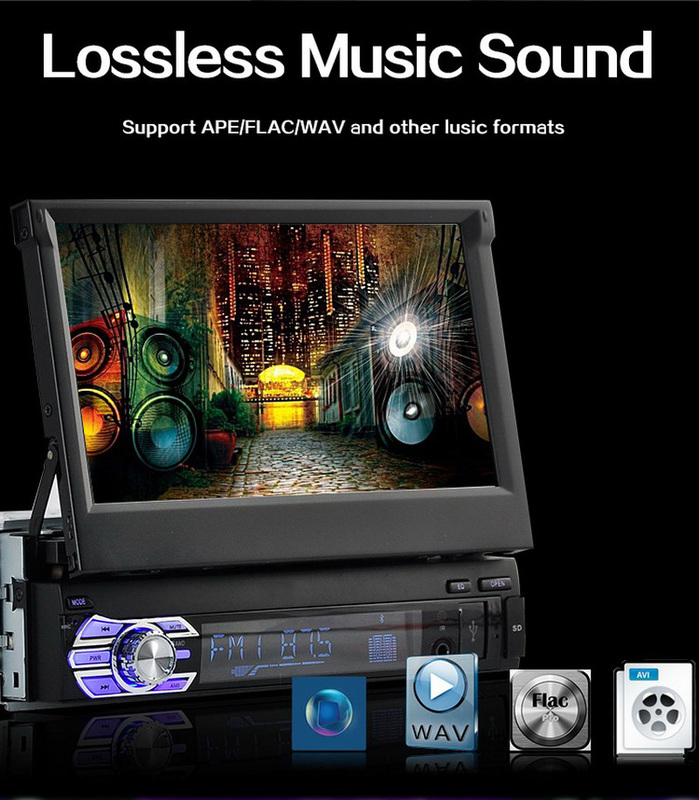 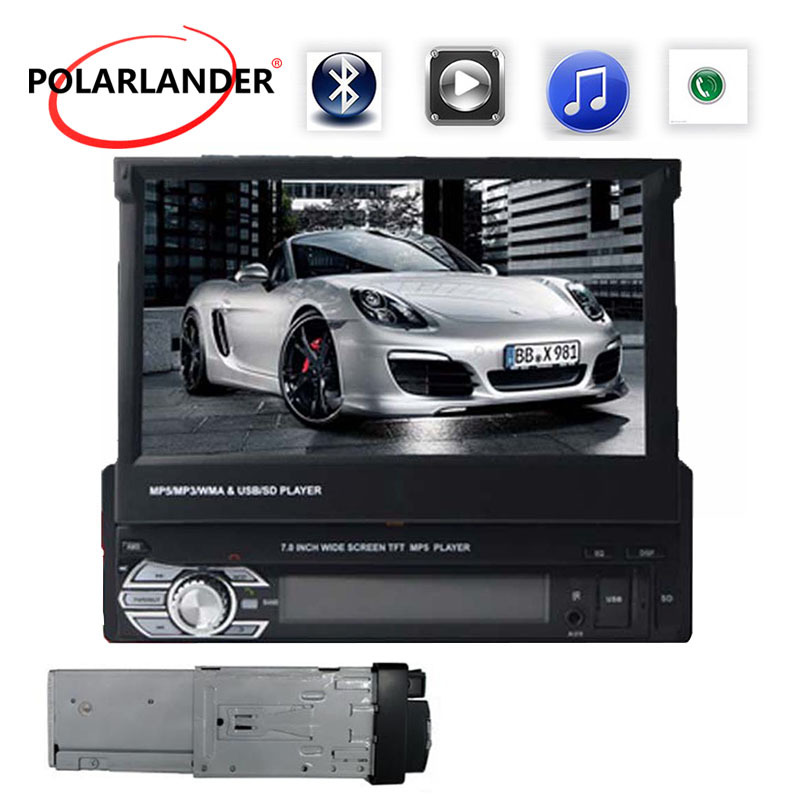 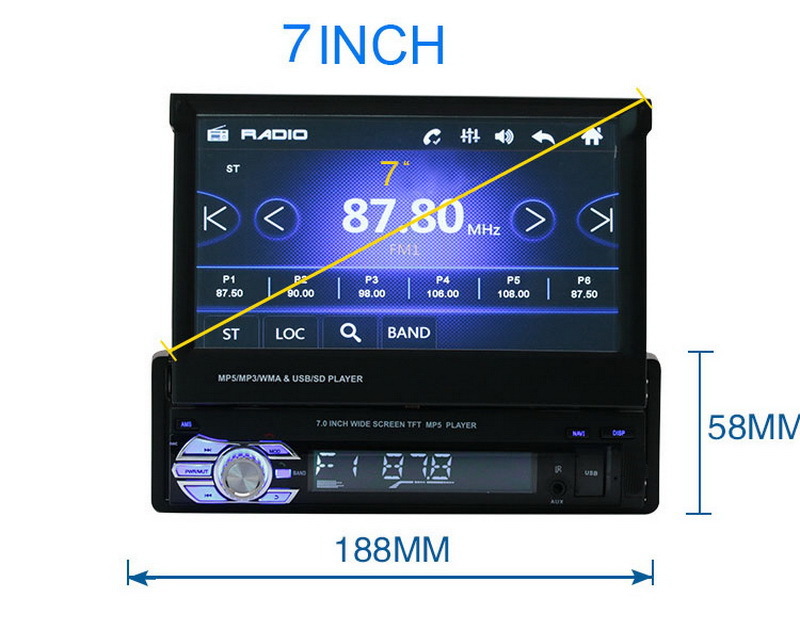 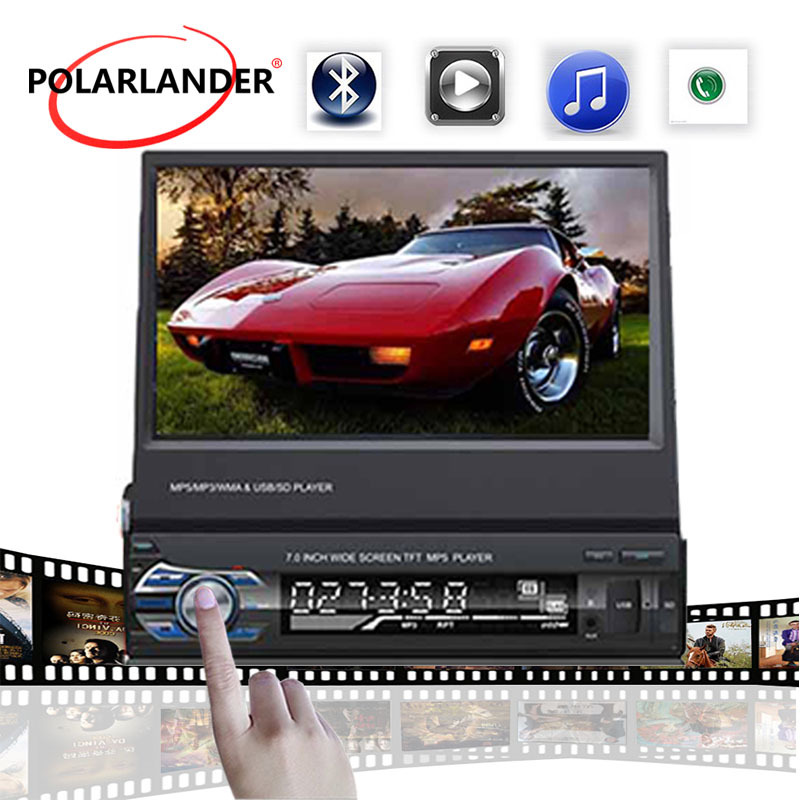 This car Bluetooth stereo includes a manual 7-inch retractable screen. 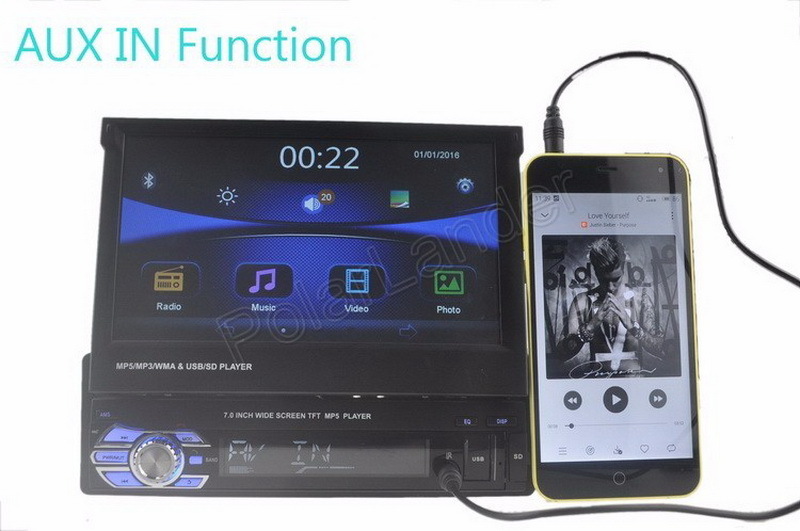 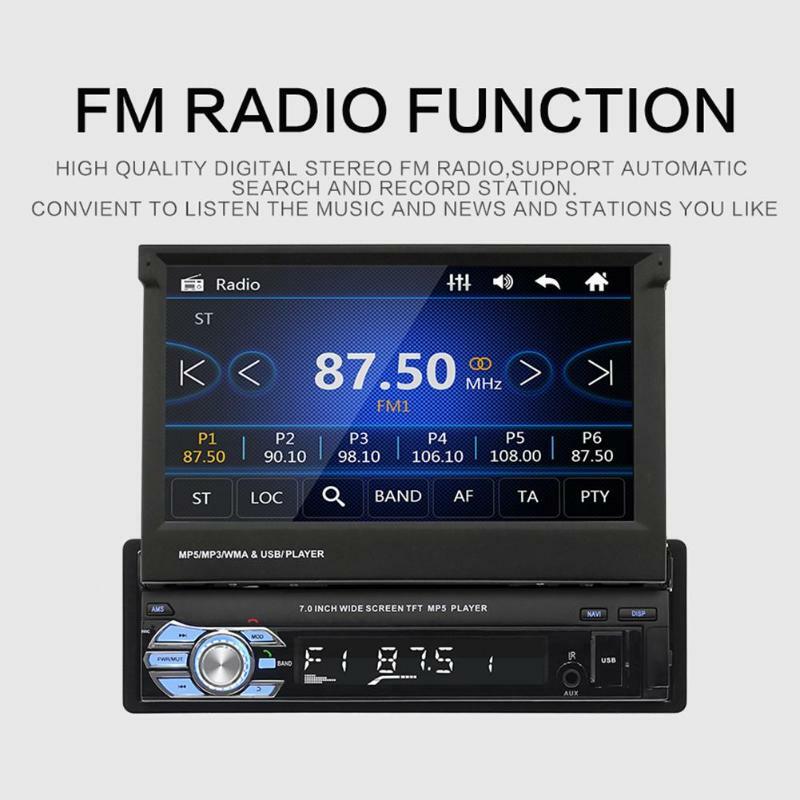 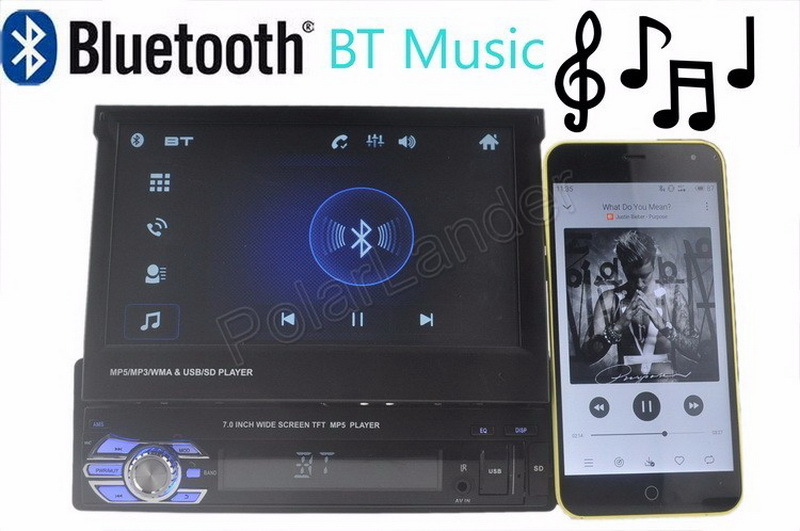 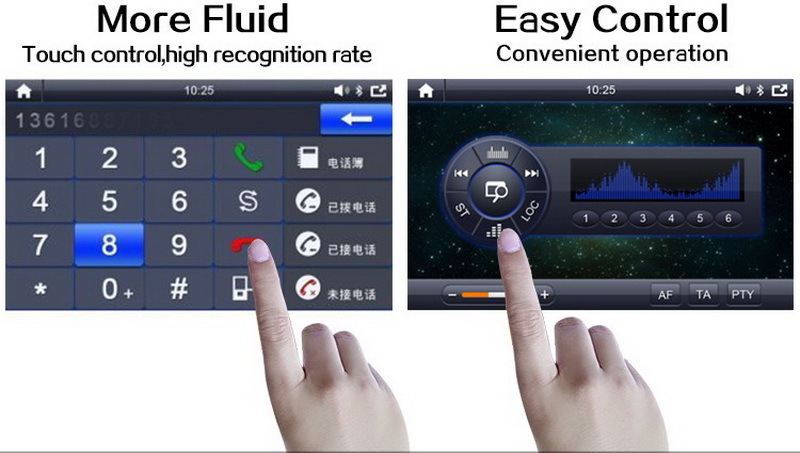 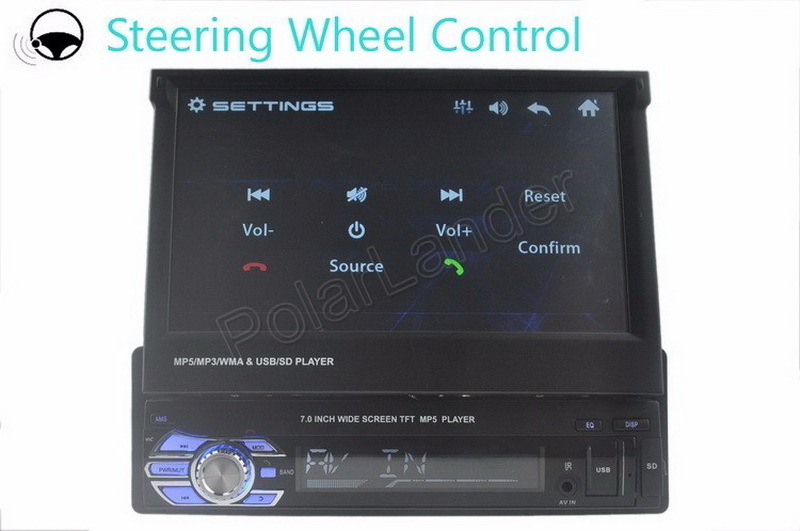 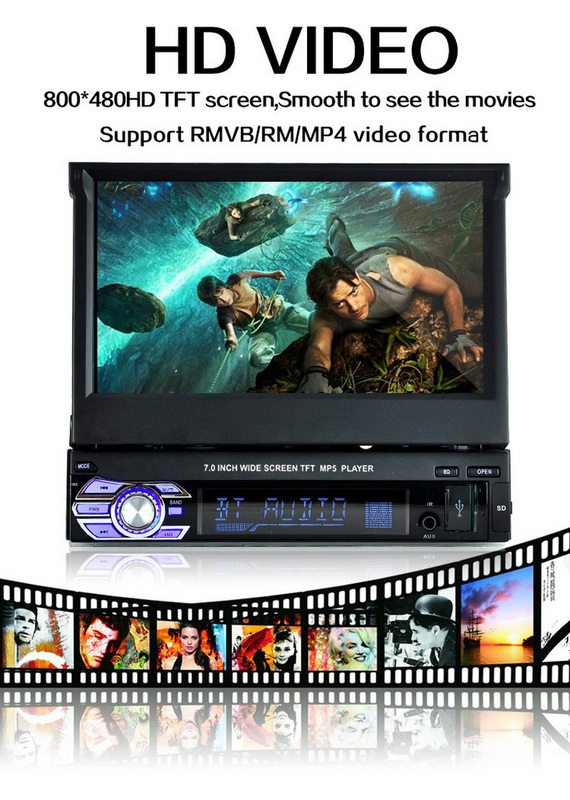 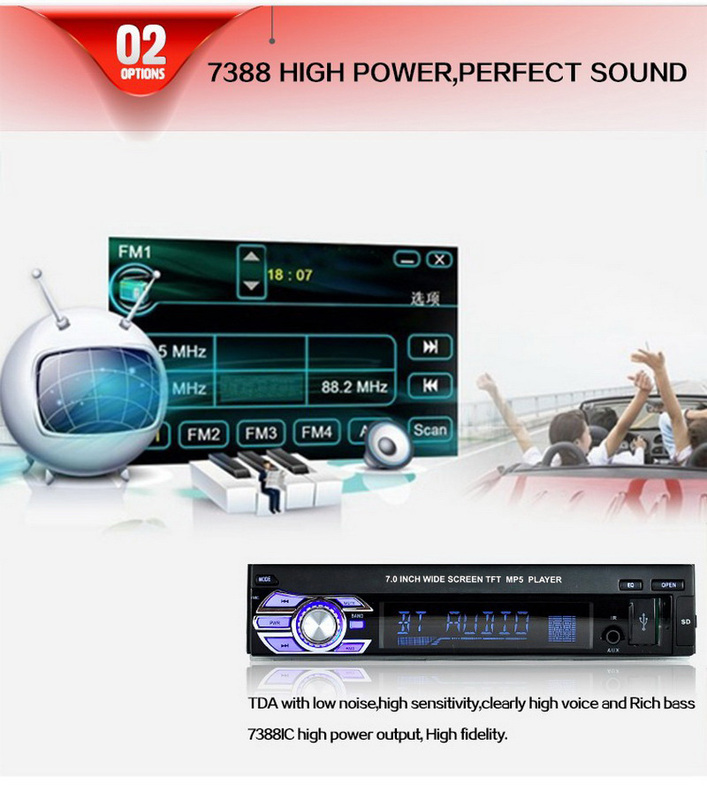 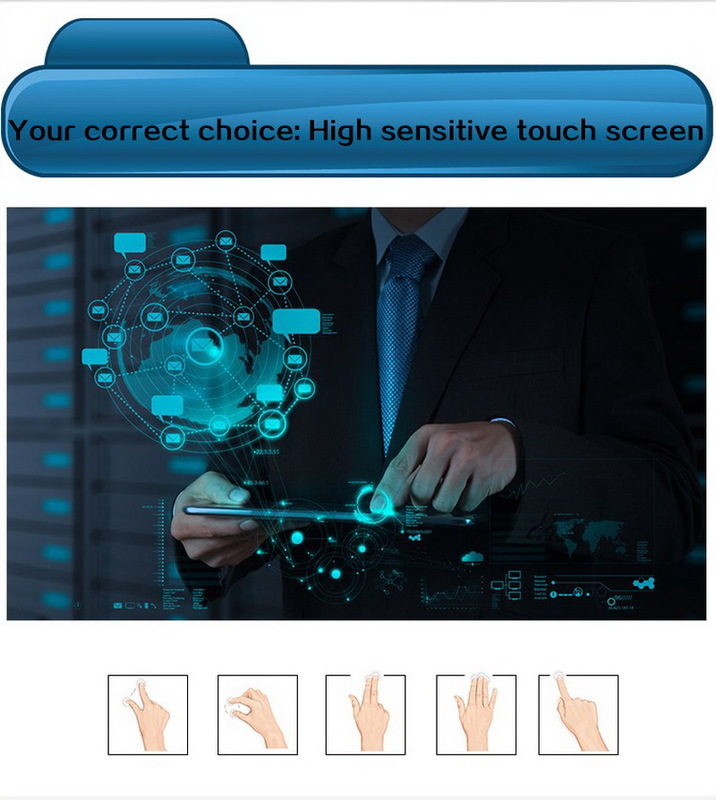 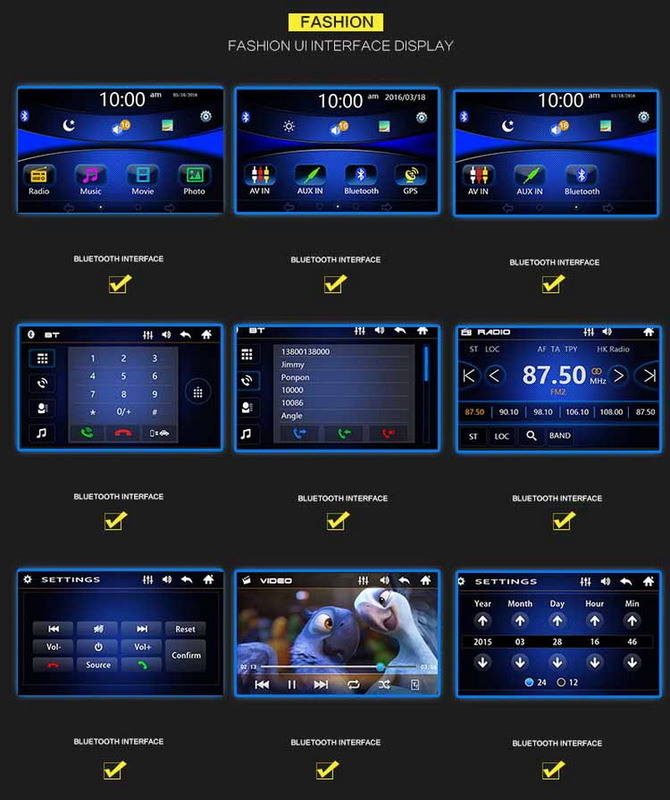 Comes with a variety of features such as lock function, mute function, Bluetooth, Bass and Treble, L and R channel stabilizer, AUX IN function, Wheel Control, Video warning function, etc. 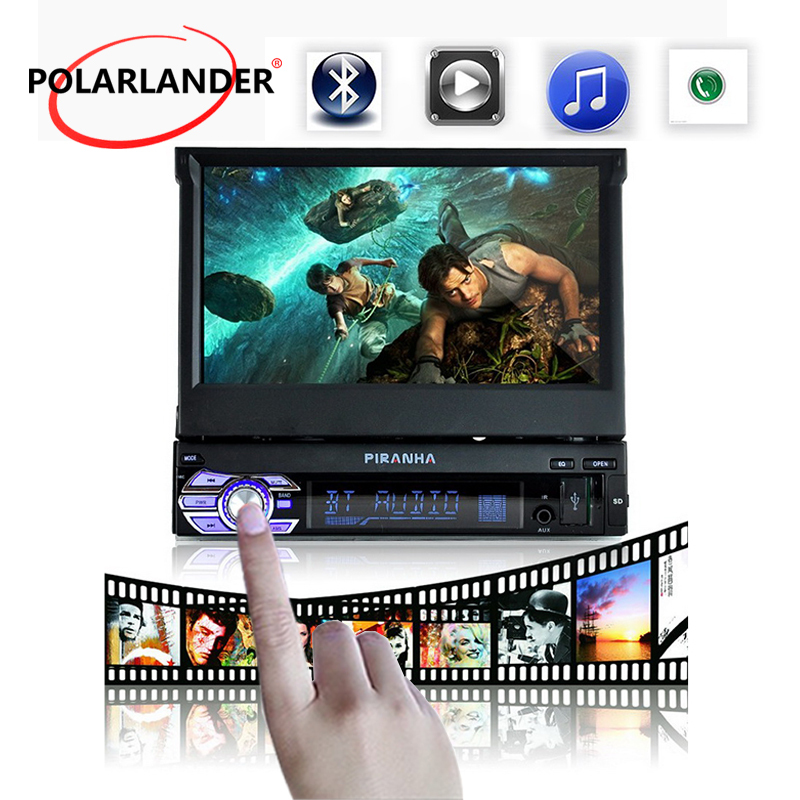 Available Languages: Russian, English, Chinese, Spanish, French, Dutch, Italian, Portuguese, Turkish, Czech, Polish, etc. 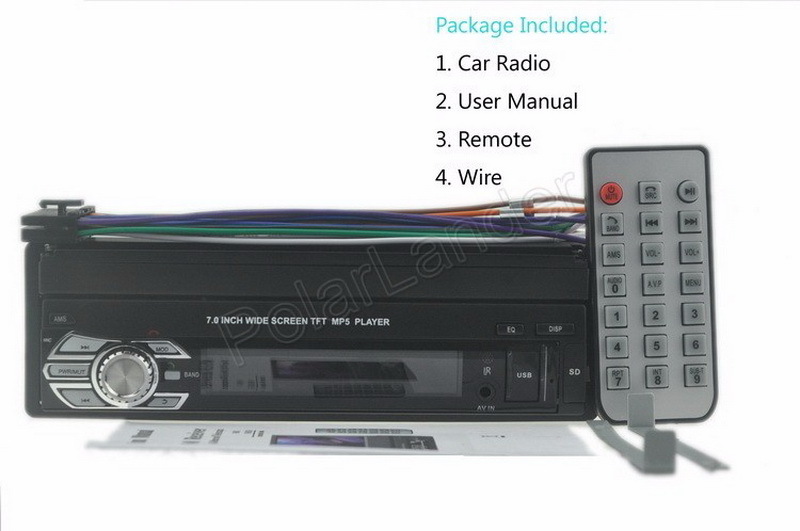 The package does not include a Memory card/SD card. 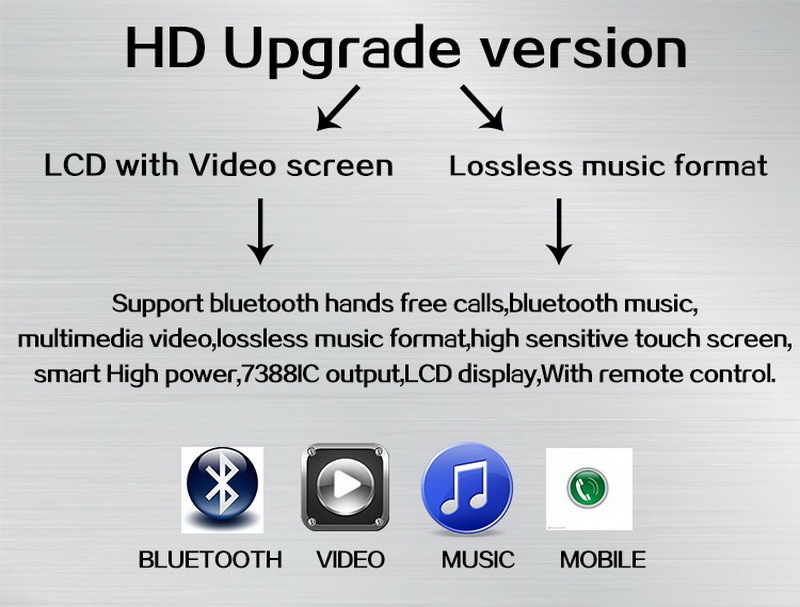 This has no CD/DVD support only USB TF card. 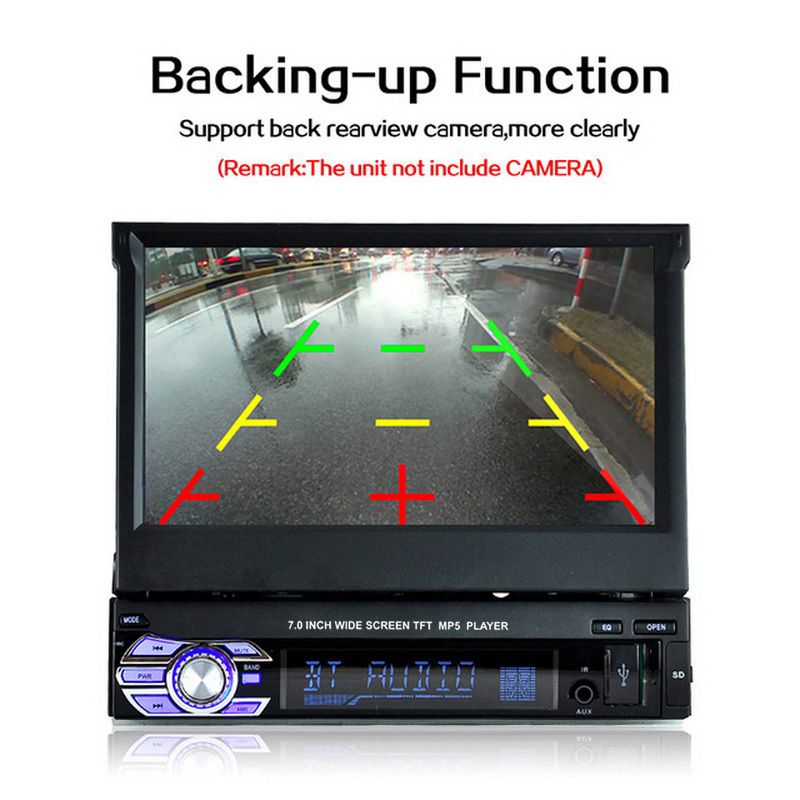 Does not support GPS function.